How to burn MKV video files onto Blu-ray disc for backup and playback? After reading this article you will know the best way to burn MKV files to Blu-ray disc on your computer, you will also get the best MKV to Blu-ray disc creator/burner. As the problem showed above, many users have encountered the problem when they want to burn MKV files or other videos to Blu-ray disc, most users don’t know the way to burn video to disc, and the effective Blu-ray creator they should choose, now we will share the best way and top Blu-ray creator with you, which will help you to burn MKV files to Blu-ray disc with few clicks, and if you have other video formats like MKV, AVI, MOV, WMV, FLV, MTS, M2TS, etc. you can also use the program to burn video to Blu-ray disc. How to burn MKV files to Blu-ray disc? Contrary to popular belief, MKV files are not an audio or video compression format. In reality, MKV files are actually multimedia container formats. This essentially means that it is a container that can incorporate audio, video, and subtitles into a single file even if they use a different type of encoding. For instance, you could have a MKV file using VP8 video with Vorbis audio, or more commonly, using H.264 for video and something like MP3 or AAC for audio, you may want to burn MKV files to Blu-ray disc for backup or playback, in this case, you will need two tools, one if Blu-ray hard drive, you may already got this, another tool is a Blu-ray creating software like UFUSoft Blu-ray Creator, which you need to use to burn MKV files to Blu-ray disc. This Blu-ray creator is the best Blu-ray creating program on the market, which supports all video formats, including MKV, MXF, MTS, M2TS, MOV, MP4, MPG, MPEG, VOB, WMV, etc. this program can burn all your videos to Blu-ray disc, besides it will turn your video to Blu-ray folder/ISO file. Now please download this MKV to Blu-ray disc creator and follow the steps below to burn videos to disc. 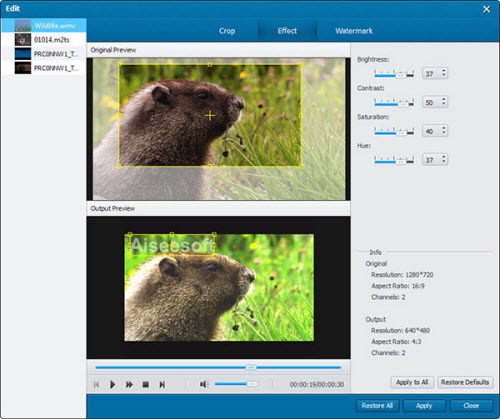 Here we will show you how to burn MKV to Blu-ray with this Blu-ray Creator. 3. Click Add Files and load the MKV video to the program. 4. Check the MKV video file and click Audio Track or Subtitle. Choose your preferred audio track and subtitle. Or you can directly choose in the main interface. Note: The MKV video file is large, and the Blu-ray creating process may take longer time than the DVD creating. Please wait patiently until it is completed. After that, you can enjoy your valuable MKV videos on your UFUSoft Blu-ray player. This entry was posted in Create Blu-ray on Windows and tagged best mkv to blu ray converter, best mkv to blu ray software, Best way to convert an MKV file to Blu-ray, burn mkv to blu-ray Windows 10, Burning a MKV to Blu Ray Disc, Convert MKV to Blu-ray, convert mkv to blu-ray without reconverting, free mkv to blu-ray burner, mkv file blu-ray converter, mkv file blu-ray creator, MKV file to blu-ray, mkv to blu ray mac, mkv to blu ray reddit, MKV To Blu-Ray, mkv to blu-ray macos sierra', windows 10 mkv to blu ray by admin. Bookmark the permalink.